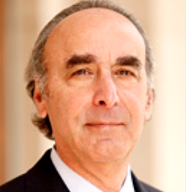 Kenneth Abraham is Harrison Distinguished Professor of Law at the University of Virginia Law School. He combines extensive high-level practice experience as a lawyer and consultant in major insurance cases, with 35 years of writing about and teaching insurance law. He has been heavily involved in hundreds of insurance coverage matters under CGL, D&O, Financial Services, and Property insurance policies, under U.S., Bermuda, London, and other policy forms. He has represented his clients in court and in arbitrations, advised them about the purchase of insurance, helped them decide about making insurance claims, and assisted them in insurance planning. He has served as an arbitrator in both insurance and other matters. Abraham is one of the nation’s leading insurance law scholars. His casebook, Insurance Law & Regulation (5th ed. 2010), has been used as the principal text in courses on Insurance Law at over 100 U.S. law schools since it was first published in 1990. The author of four books on insurance law and over sixty law review articles, Abraham has been a Visiting Professor at Harvard Law School and Case Western Reserve Law School. He received the 2001 Robert B. McKay Award from the Tort and Insurance Practice Section of the American Bar Association, for “outstanding contributions to tort and insurance law.” He is a Fellow of the American Academy of Arts & Sciences. Since 1996, Abraham has served on the Council of the American Law Institute (ALI), the board of lawyers, judges, and law professors that governs the ALI. He was one of the organizers of the ALI’s current project on the Principles of Liability Insurance Law, and he serves on the Advisory Board of that project. For nearly twenty years he served on the Advisory Board of the Restatement of Torts (Third). He is a member of the bar of the states of Maryland and Virginia. Consulting Counsel in major insurance coverage matters, including commercial business interruption, directors and officers liability, employment liability, environmental liability, commercial property, products liability, and toxic tort liability insurance claims. Arbitrator, for The Private Adjudication Center, Duke University. In the United States and abroad, I arbitrated over 100 claims by women claiming damages for injuries caused by the Dalkon Shield intrauterine device. The Forms and Functions of Tort Law (The Foundation Press, 4th ed. 2012). Insurance Law and Regulation: Cases and Materials (The Foundation Press, 5th ed. 2010). The Liability Century: Insurance and Tort Law from the Progressive Era to 9/11 (Harvard University Press, 2008). A Concise Restatement of Torts (American Law Institute, 2000) [Editor]. Environmental Liability Insurance Law (Prentice Hall Law & Business, 1991). Distributing Risk: Insurance, Legal Theory, and Public Policy (Yale University Press, 1986). Four Conceptions of Insurance, 161 Penn. L. Rev. 653 (2013). Liability for Bad Faith and the Principle without a Name (Yet), 19 Ins. L. J. 1 (2013). Strict Liability in Negligence, 61 De Paul L. Rev. 271 (2012). Catastrophic Oil Spills and the Problem of Insurance, 64 Vand. L. Rev. 1769 (2011). Lessons Learned from the History of Corporate Liability Insurance in the United States, 35 Geneva Papers on Risk and Insurance 364 (2010). Custom, Noncustomary Practice, and Negligence, 109 L. Rev. 1784 (2009). Stable Divisions of Authority, 44 Wake Forest L. Rev. 963 (2009). The Common Law Prohibition on Party Testimony and the Development of Tort Liability, 95 L. Rev. 489 (2009). The Uses of Accident Law’s Past, 1 Journal of Tort Law, Issue 2, Article 2 (2007), available at http://www.bepress.com/jtl/vol1/iss2/art2. Perspectives on Defamation Litigation in the United States, in Paul Gewirtz, (ed.) Specialized Research in Personality Rights Law and Tort Law (China Legal System Press 2006) (in Chinese). Twenty-First-Century Insurance and Loss Distribution in Tort Law, in M. Stuart Madden (ed. ), Exploring Tort Law (2005). Liability Insurance and Accident Prevention: The Evolution of an Idea, 64 L. Rev. 573 (2005). Liability for Acts of Terrorism under U.S. Law, in Bernhard A. Koch (ed. ), Terrorism, Tort Law, and Insurance: A Comparative Survey (2004). The Genie and the Bottle: Collateral Sources under the 9/11 Victims Compensation Fund, (with Kyle Logue) 53 DePaul L. Rev. 591 (2003). The Lawlessness of Arbitration (with J.W. Montgomery III), 9 Ins. L.J. 355 (2003). Rylands v. Fletcher: Tort Law’s Conscience,in Robert L. Rabin and Stephen Sugarman (eds. ), Torts Stories (2003). Eventi Catastrofali Prevedibilita E Assicurabilità: Mito E Realtà Negli Stati Uniti Dopo L’11 Settembre [Catastrophe, Predictability, and Insurability: Post 9/11 Myth and Reality in the United States], Anno XLIV Fasc. 3-4 Diritto ed Economia dell’Assicurazione [“Insurance Law & Economics”] 651 (2003) (in Italian). Liability for Medical Monitoring and the Problem of Limits, 88 L. Rev. 1975 (2002). Interpretation or Regulation? Gaunt v. John Hancock Mutual Life Insurance Company, 2 L. Rev. 312 (2002). The Insurance Effects of Regulation by Litigation, in W. Kip Viscusi (ed. ), Regulation through Litigation (2002). The Relation Between Civil Liability and Environmental Regulation: An Analytical Overview, 41 Washburn L. Rev. 379 (2002) (The 2002 Ahrens Lecture at the Washburn Law School). The Trouble with Negligence, 54 L. Rev. 1187 (2001). The Rise and Fall of Commercial Liability Insurance, 87 L. Rev. 85 (2001). Peril and Fortuity in Property and Liability Insurance, 36 Tort & Ins. Practice 777 (2001). Understanding Prohibitions Against Genetic Discrimination in Insurance, 40 Jurimetrics 123 (2000). The Expectations Principle as a Regulative Ideal, 5 Ins. L. J. 60 (1999). Allocation of Settlements in Multi-Insurer Coverage Disputes, 48 of Ins. & Corp. Counsel J. 427 (1998). The Maze of Mega-Coverage Litigation, 97 L. Rev. 2102 (1997). A Theory of Insurance Policy Interpretation, 95 L. Rev. 531 (1996). Enterprise Medical Liability and the Evolution of the American Health-Care System, 108 L. Rev. 381 (1994) (with P. Weiler). The Natural History of the Insurer’s Liability for Bad Faith, 72 Texas L. Rev. 1295 (1994). Enterprise Medical Liability and the Choice of the Responsible Enterprise, 20 American Journal of Law and Med. 29 (1994) (with P. Weiler). Private Insurance, Social Insurance, and Tort Reform: Toward a New Vision of Compensation for Illness and Injury, 93 L. Rev. 75 (1993) (with L. Liebman). Enterprise Responsbility for Personal Injury: Further Reflections, 30 San Diego L. Rev. 333 (1993) (with R. Rabin and P. Weiler). Cleaning Up the Environmental Liability Insurance Mess, 27 Valparaiso L. Rev. 601 (1993) (The 1992 Monsanto Lecture at the Valparaiso University Law School). Collective Justice in Tort Law, 78 L. Rev. 1481 (1992) (with G. Robinson). What Is a Tort Claim: An Interpretation of Contemporary Tort Reform, 51 L. Rev. 172 (1992) (The 1991 Simon E. Sobeloff Lecture at the University of Maryland Law School). The Once and Future Crisis, 4 Risk & Uncertainty 353 (1991). “Second Generation” Issues in Environmental Liability Insurance Litigation, 3 Claims J. 309 (1991). Aggregative Valuation of Mass Tort Claims, 53 Law & Contemp. Problems 137 (1990) (with G. Robinson). Products Liability Law and Insurance Profitability, 19 Legal Stud. 837 (1990). Punitive Damages and the Rule of Law: The Role of the Defendant’s Wealth, 18 Legal Stud. 415 (1989). Environmental Liability and the Limits of Insurance, 88 L. Rev. 942 (1988). Statutory Interpretation and Literary Theory: Some Common Concerns of an Unlikely Pair, in S. Levenson and S. Mailloux (eds.) Interpreting Law and Literature (1988) [reprinted from 32 Rutgers L. Rev. 676 (1979)]. Medical Liability Reform: A Conceptual Framework, 260 Journal of the American Medical Association 68 (1988). The Causes of the Insurance Crisis, in W. Olson (ed. ), New Directions in Liability Law (1988). Redistributional Issues in the Privatization of Government Insurance Programs, 11 George Mason L. Rev. 151 (1988). The Insurance Implications of Administrative Compensation Schemes, 25 Houston L. Rev. 817 (1988). Individual Action and Collective Responsibility: The Dilemma of Mass Tort Reform, 73 L. Rev. 845 (1987). Making Sense of the Liability Insurance Crisis, 48 Ohio State L.J. 399 (1987). Scientific Uncertainty in the Courts, 2 Issues in Science and Technology 93 (Winter 1986) [with Richard Merrill]. Efficiency and Fairness in Insurance Risk Classification, 71 L. Rev. 403 (1985). Cost Internalization, Insurance, and Toxic Tort Compensation Funds, 2 J. Nat. Res. Law 123 (1982). Adopting Comparative Negligence: Some Thoughts for the Late Reformer, 41 L. Rev. 300 (1982). Judge-Made Law and Judge-Made Insurance: Honoring the Reasonable Expectations of the Insured, 67 L. Rev. 1151 (1981). Three Fallacies of Interpretation: A Comment on Precedent and Judicial Decision, 23 L. Rev. 771 (1981). Alternatives to the Tort System for the Non-Medical Professions: Can They Do the Job?, 1981 Y.U. L. Rev. 57. Observations on Medical Malpractice: A Look At Performance Patterns Among Attorneys and Physicians [with S. Kirson], Nov. 1980 Maryland Medical Journal. Statutory Interpretation and Literary Theory: Some Common Concerns of an Unlikely Pair, 32 Rutgers L. Rev. 676 (1979) [reprinted in S. Levenson and S. Mailloux (eds. ), Interpreting Law and Literature (1988)]. Medical Malpractice Reform: A Preliminary Analysis, 36 L. Rev. 489 (1977). The Public’s Emerging Right to Know, Oct. 1975 B. J. 38. Principle and Pragmatism in the Compensation Debate [review essay on J. Stapleton, Disease and the Compensation Debate], 7 Oxford J. Legal Stud. 302 (1987). The Costs of Attitudes, [review essay on G. Calabresi, Ideals, Beliefs, Attitudes and the Law] 95 Yale L.J. 1043 (1986). Review of R. Burt, Taking Care of Strangers, 169 Nerv. and Ment. Dis. 740 (1981). Review of Roberto M. Unger, Knowledge and Politics and Law In Modern Society 94 MLN 1202 (1979). Member of the Council, American Law Institute, (1996-Present). American Law Institute, Advisor, Principles of the Law of Liability Insurance (2010-Present). American Law Institute, Advisor, Restatement of Torts (Third): Liability for Physical and Emotional Harm (1998-2012). American Law Institute, Advisor, Restatement of Torts (Third): Products Liability (1992-97). Project on the Insurance Implications of the Human Genome Project (1992-1996). Advisory Committee, International Library Insurance Anthology Series (1994-97). Editorial Advisory Board, Connecticut Insurance Law Journal (1995-1998). American Law Institute, Associate Reporter, Project on Enterprise Liability for Personal Injury (1986-91). Wharton School, University of Pennsylvania, Board of Advisors, Risk and Decision Processes Center (1991-92). American Bar Association Torts and Insurance Practice Section, Committee on the CGL Insurance Policy (1989-91). The Robert Wood Johnson Foundation, Advisory Board, Medical Malpractice Program (1987-90). University of Houston Law Center, Board of Advisers, Environmental Liability Program (1987-91). Institute of Medicine (National Academy of Sciences), Committee on Medical Professional Liability and the Delivery of Obstetrical Care (1987-89). United States Senate Committee on the Judiciary, Reinsurance Advisory Committee (1989). Appleton Papers, Inc. v. George A. Whiting Paper Co., et al., U.S. District Court for the Eastern District of Wisconsin (Deposed under seal, January 17, 2012; testified under seal, February 27, 2012). Plantation Pipeline Co. v. Associated Electric & Gas Ins. Services, Ltd, U.S. District Court for the Northern District of Georgia (Expert Report Submitted February 11, 2011). General Electric Company v. David E.W. Lines et al. and One Beacon Insurance Company, Superior Court of Massachusetts, Suffolk County (Expert Affidavit filed October 2, 2009). Compagnie Des Bauxite de Guinee v. Three Rivers Insurance Company, U.S. District Court for the Western District of Pennsylvania (Deposed on May 7, 2006). I. duPont de Nemours and Company v. National Union Fire Ins. Co., U.S. District Court for Delaware (Deposed on September 23, 2004). SR International Business Insurance Co. Ltd. v. World Trade Center Properties LLC et al., U.S. District Court for the Southern District of New York (Deposed on September 22, 2002). Minnesota v. Allstate Ins. Co., et al., U.S. District Court for the District of Minnesota (Deposed on January 11, 2001). Massachusetts Department of Public Utilities Rate Hearing (Deposed on March 15-16, 1990). Kennedy v. Miller, United States District Court for the District of Columbia, (Testimony on November 3, 1989). General Assembly of Virginia, Joint Subcommittee on Insurance Reform, October 27, 1988 (Regulation of reinsurance). General Assembly of Virginia, Joint Subcommittee on Insurance Reform, July 8, 1988 (Antitrust regulation). Interstate Fire Insurance Company v. Chubb Insurance Company, United States District Court for the District of Maryland (Testimony on March 7, 1986). General Assembly of Maryland, Senate Judiciary Committee,(Testimony on March 7, 1982).